Fans of The Witcher already had the cast revealed to them, with main characters already been chosen for their roles for the Netflix series. However, what we hadn’t seen yet was how these actors and actresses would look as their characters. Netflix shares a tweet today that shows a screen test for Henry Cavill who is taking up the role of Geralt of Rivia. While the only depiction we’ve seen of the Geralt’s character is through the eyes of CD Projekt Red’s The Witcher games, it seems Netflix has decided to go a little more Legolas with their vision. While this might not be the final look for Geralt, it gives more of an idea of how Cavill will look in this role. The show runner Lauren Schmidt Hissrich did mention last month that they were staying true to “its Slavic roots” and also shared that they wanted to “make sure the show we were creating was its own unique thing”. 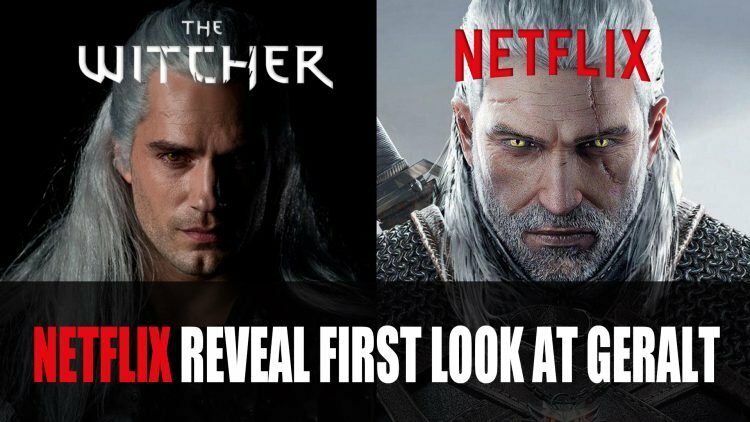 The Witcher Netflix series is set to launch in 2019 according to this recent promo video. If you’re a fan of The Witcher be sure to check out more related news in Netflix’s The Witcher Show Casts Roles For Yennefer And Ciri as well as Thronebreaker: The Witcher Tales On Nintendo Switch Doesn’t Look Likely. Also if you’re planning to tackle third instalment in the game franchise be sure to check out our The Witcher 3 wiki. he looks like a cosplay gigolo.